Those wishing to pledge to House Galaar, under any Clan, should seek out its members and make their voices heard! 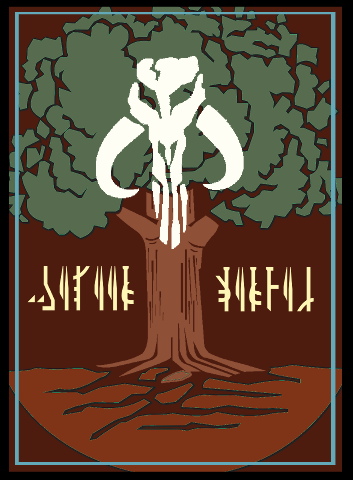 What: A Mando RP guild centered around the concept of a Mandalorian House: a banner uniting many clans under it. Who: All Mandos are welcome! Bring a spirit for RP and a love of the hunt and clan. You do not have to change your IC clan to join. (See below) We are friendly people who love to RP and try to foster a nice community IC and OOC. Why: We wanted a place centered around organizing and supporting Mando RP, a niche that was at the time missing from the community. The concept of being a House allows for characters to join the guild without ICly giving up their clans, though you are also welcome to join the clans of any members. When: There is no guild night at the moment, but members can be found online at times at some of the various Impside and cross-faction RP events, usually on Wednesday Independent Nights. We also love spontaneous RP! How: Send me ( @Noth ) a note, post in our thread, or message me in-game on Urziya, and we can do a quick RP and invite you in! RP is not a huge intensive process, just want to get a feel for you before joining.